I want to see a fair few bands at Download…might just have a few beers and cruise around. Anyone doing either The Prodigy or Slash w Myles Kennedy & Conspirators tonight in Melbourne town? Righto thanks mate - thought you may have been in Vic now. I organise entertainment in Albury and am always looking for venues with which to share ideas and artists. only because he didn’t sing Groovy Kind of Love which is one of my fave all time songs! but other than that, he was terrific! His voice is a little weaker, particularly with the higher notes, but he still sounds amazing, and even though he sat for the whole time (recent back surgery), he still managed to create an amazing party like atmosphere. Was awesome seeing his 17 year old son playing the drums too! Yep - Groovy kind of love was our Wedding song so disappointing not to hear it but the rest of the show was very good. You’ll be in my heart, Don’t lose my number, One more night & Two Hearts were the others I would have liked but when you’ve had a career like his its understandable some faves will miss out. Rapt he sang Separate Lives & the duet with Nicholas had Simone & plenty of others nearby tearing up. I couldn’t really think of another child of a superstar who I’ve seen perform like that. At 17 to carry the drums for the entire show & also play a piano duet with his Dad was awesome. Like you said his voice didn’t quite reach some of the higher notes but the tone is still there. Great night. Lazy 80k for Eminem at the ‘G tonight. Just got of the phone with 'em, … both rapt to the back teeth with it all. 4 acts, Em did 32 songs or something. They are both rooted! ha ha. 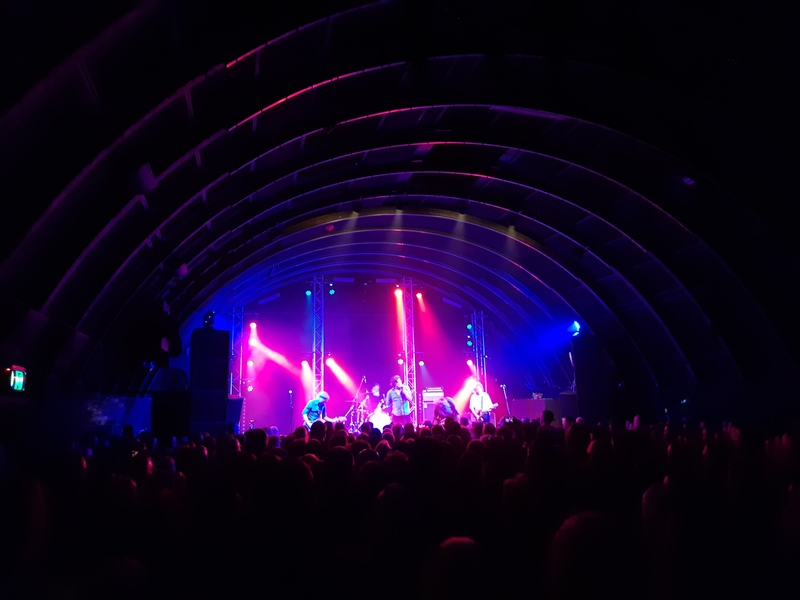 It took me thirty years to see 'em, the last few waiting for LMW to turn 18, but finally got to see They Might Be Giants at the Croxton Bandroom last night. I should have gone to both gigs. Beasts at the Triffid were very good last night. That’s BRISBANE right? What’s it like as a venue? Great venue, great sound. Hadn’t been there before but will definitely go back.